PA official says they are considering filing more complaints against Israel at International Criminal Court. 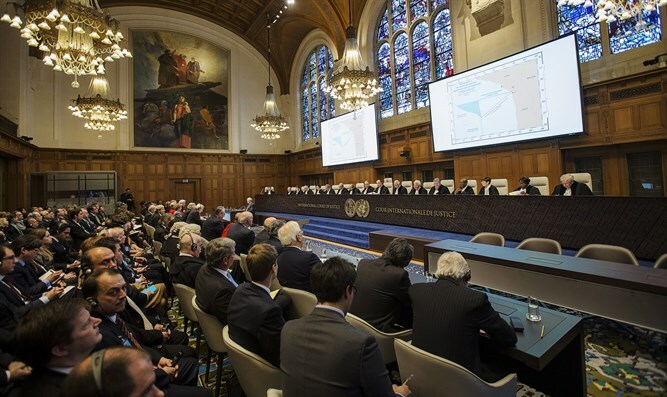 The Palestinian Authority (PA) is continuing with its unilateral efforts against Israel in international institutions and is mulling more lawsuits against Israel at the International Criminal Court (ICC). Dr. Wasel Abu Yusuf, a member of the committee responsible for monitoring the activity of the International Criminal Court, on Tuesday told the Hamas-affiliated Palestine newspaper that the committee members recently discussed whether to file additional legal claims with the court in The Hague, or wait until the investigation of complaints that have already been filed is completed. “Palestine” officially joined the ICC on April 1, 2015, and immediately filed a series of legal complaints with the court, including a claim that Israeli “settlement” are “an ongoing war crime”. Additional complaints revolve around the war in Gaza in 2014, the issue of terrorist prisoners in Israel, and others. Abu Yusuf said Tuesday that legal advisers are urging the Palestinian committee to wait until after the initial investigation by the ICC's prosecutor, but despite this recommendation the committee will continue to discuss steps in which it can speed up the process of filing claims against Israel.